Owner Amber Barry first relocated the yoga studio to Howell Mill Village mid-2017. 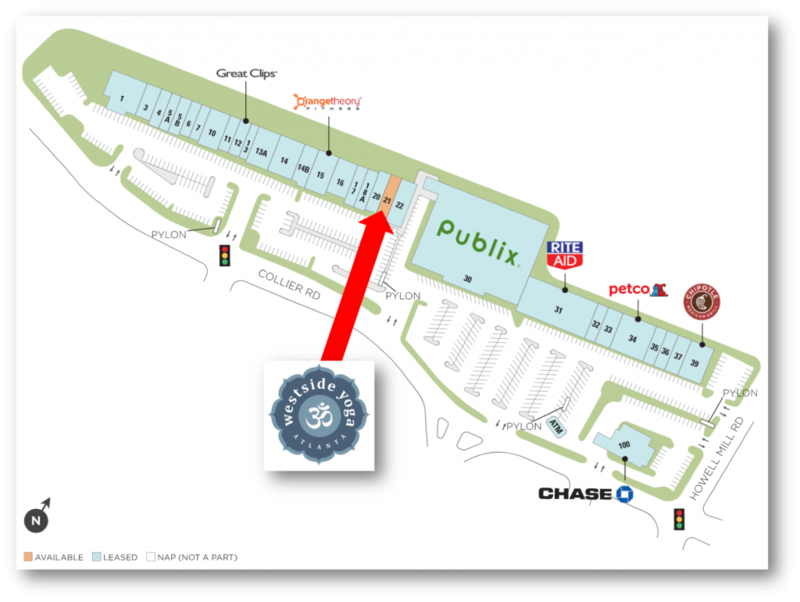 Westside Yoga is expanding its footprint in the Howell Mill Village shopping center. The boutique "power yoga" studio has plans to relocate to a larger space in the same shopping center early spring 2018. Westside Yoga will move from suite #5B to suite #22, Amber Barry, the yoga concept's owner, this week told What Now Atlanta in an email. The space, a corner unit adjacent Publix, was formerly home to Imagination Station. "The new location is fabulous," Barry said. "It offers three-times more studio space, and the opportunity to host simultaneous classes." In the new space, Westside Yoga will expand its lobby and house two yoga studios versus just one which is what the current suite allows. "We will triple our class capacity per hour, which means it will be easier than ever to take classes with us." 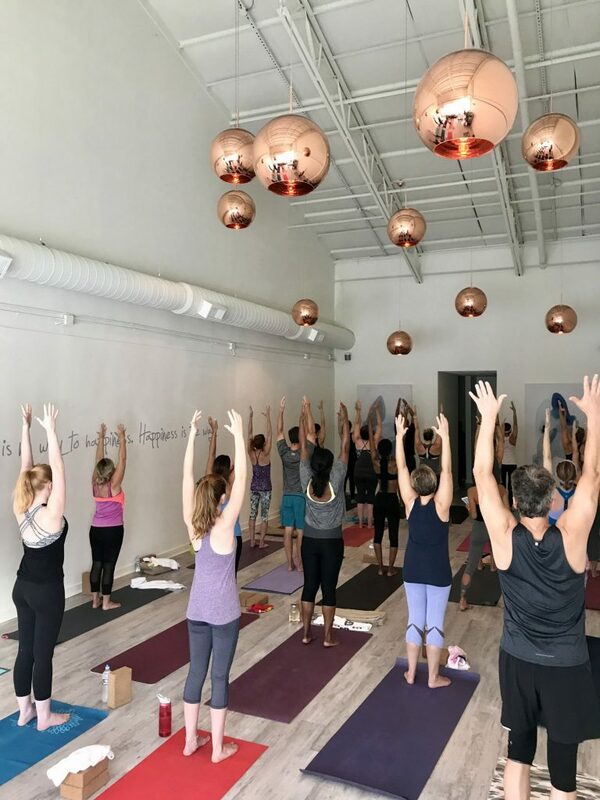 Westside Yoga first opened its doors in September 2015, at 1891 Howell Mill Road NW, and in May 2017 moved to Howell Mill Village. "Our mission has always been to make yoga fun, accessible and rewarding to everyone." As the studio has grown, Amber has added services like yoga teacher training, workshops, family yoga, and corporate yoga. Amber plans to move to the new space by mid-March. string(39) "2020 Howell Mill Road Atlanta, GA 30318"